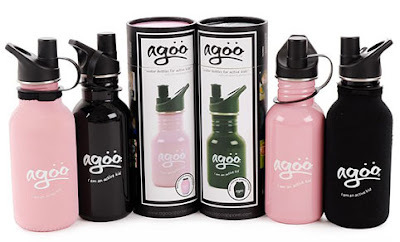 Green Baby Bargains: Stainless Steel H2O Water Bottles - 50% off! Stainless Steel H2O Water Bottles - 50% off! Only $9.99! 50% off! Start shopping HERE! Introducing Agoo H2O Stainless Steel Bottles! Happening & hip, these 500ml stainless steel water bottles come with a matching neoprene protector. A perfect combination of fashion and function! Dillygiggles Organic Lip Balm 4-Pack - 53% off! Twin Sisters Productions CD - 2-pack - 50% off! Imagiplay Holiday Puzzles - 60% off! Yoreganics Soap Nuts + Stain Remover - 50% off! Leg Huggers - 50% off! Pukies Playwear + Accessories - 62% - 67% off! Paddle & Quack Wet Bags - 50% off! Kate Quinn Organics Receiving Blanket - 56% off! Toywrangler by Luvloo - 50% off! Happy Green Bee Organic Clothing - 78% - 84% off! Yellow Label Kids Knit Play Food - 50% off! Sprig Eco-Trucks - 40% off! RiNGLEY Natural Teething Ball - 50% off! 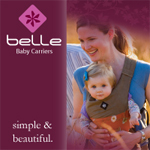 Bumkins Holiday Bibs - 50% off! Honey Bun Drops! Cloth Wipes Solution - 50% off! Huggybunny L/S Onesies + Tees - 55% off! Pedoodles Groovy Hats - 60% off! ImagiPLAY ColorMeUp Puzzles - 55% off!